Aberdeen North SNP MP Kirsty Blackman. Aberdeen’s Lord Provost has been blasted by a city MP for using his casting vote to back plans for a civic dinner to mark the 700th anniversary of the signing of a historic charter. A motion by the Provost Barney Crockett at Monday’s full council meeting was put forward calling for the city to honour the 1319 signing of the Stocket Charter by King Robert the Bruce with a special townhouse dinner involving people from all 13 wards. The charter gifted lands to the city and its legacy is still felt in the common good fund. The opposition SNP and Liberal Democrat groups said any celebratory event should be “freely accessible to all” but, after a 22-22 draw in the chamber, Mr Crockett used his casting vote to pass his motion. 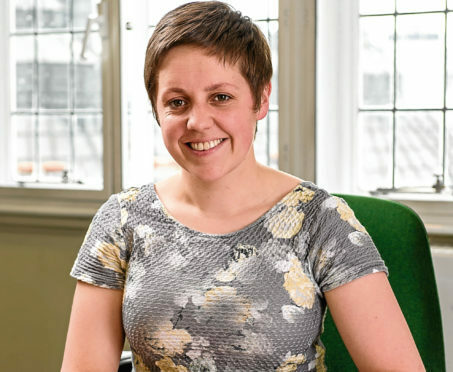 Aberdeen North SNP MP Kirsty Blackman said: “Barney Crockett and his Tory and suspended-Labour colleagues have sent a clear message that they want to shut out the people of Aberdeen from celebrations for one of the most important events in our city’s history. But last night Mr Crockett said: “This is not the first time Ms Blackman has shown a complete lack of understanding about this city and its institutions. “I think it is important we have a dignified, civic celebration to mark this occasion like we did with Denis Law being given the freedom of the city.